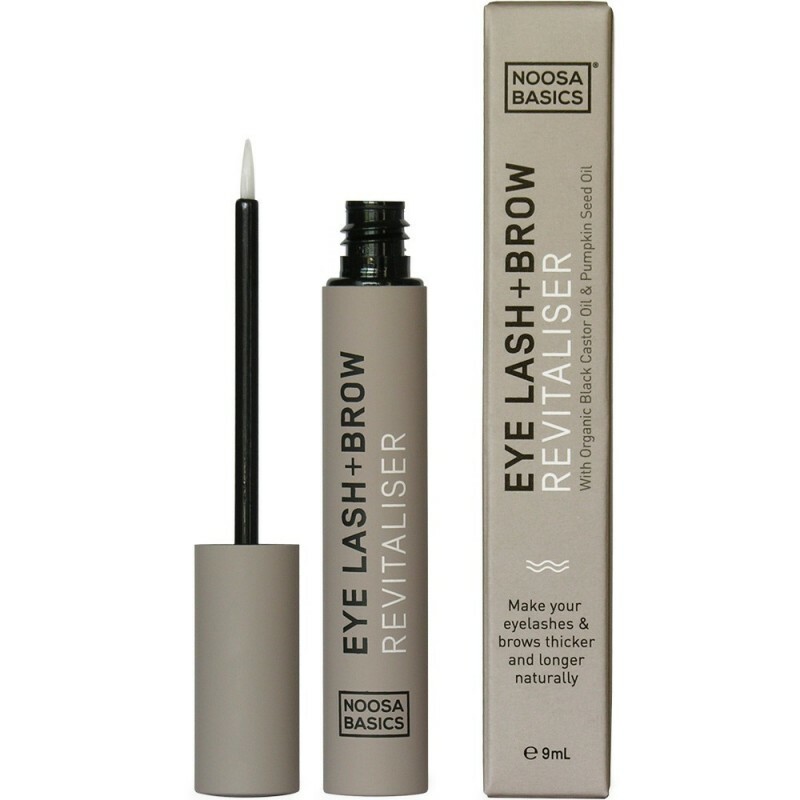 This revitalising serum makes your lashes longer and brows thicker. It will assist with new hair growth in places that have been over-tweezed with the magic of castor oil & pumpkin seed oil. Made in Australia. 9ml. Castor oil assists new hair growth for eyebrows that have been over-tweezed, thickens eyebrows, and makes eyelashes thicker, longer and stronger. Apply sparingly to eyebrows and eyelashes twice a day. For best results use over a 4-6 week period. Comes with a mascara wand for easy and even application. Free from: Aluminum, preservatives, parabens, phthalates, propylene glycol. Cold pressed Castor Oil*, Pumpkin Seed Oil*, Flaxseed Oil* and Black Castor Oil*. *Certified Organic. The serum seems to help with hair growth but it is a bit hard to tell. The external lid of the bottle came off after only a week of use (probably not glued on properly) but the applicator still closes properly, just looks a bit tacky now. Feels very nourishing and I think it does help with growth, but I need to keep using it to really tell. A great way to nourish and grown those lashes without perming, lifting and curling. I wear it on my lashes morning and night. During the day it give my lashes a dark and wet look whilst nourishing. Has lasted me for just over a year and its not empty yet. Good clean ingredients.